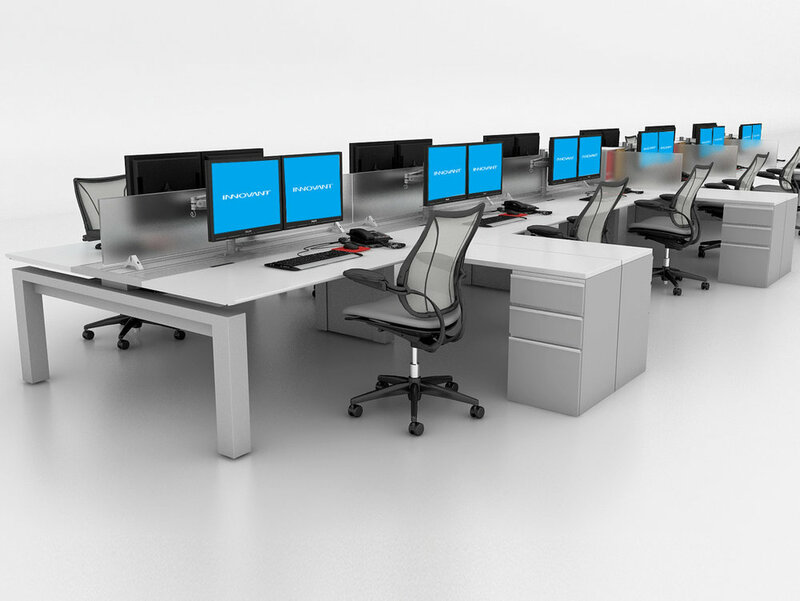 Innovant’s FORm_office S4 is uniquely designed for flexible open-plan work environments, with advanced adaptable features, it’s an ideal solution for any work environment. Often, our clients are looking for a clean, modern workstation, with technology management to maintain a clutter free environment. A recent example is the FORm_office installation at Rallye Motors, one of the largest Mercedes Benz dealers in the United State. The overall design concept, from Interior Architects, was to project a European high-end look that re-creates the Mercedes Benz worldwide appeal. The solution was our S4 configuration, with white and aluminum finishes, to further embody their showroom aesthetic. Rallye Motor’s wanted a single solution platform that could easily be adapted to meet the needs for their two end user groups. Their requirements were to provide flexibility for user access, and the ability to easily modify their personal workstation. 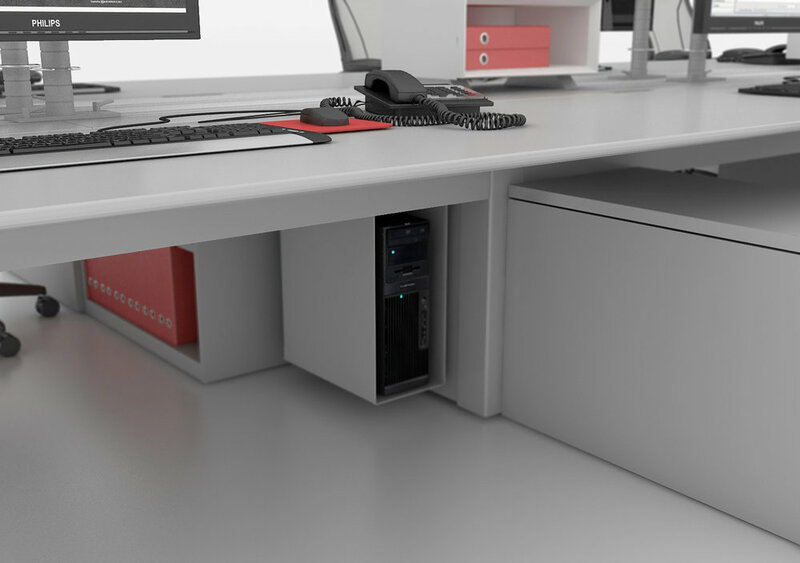 In addition, the system needed to provide hidden cable management, and personal storage solutions for above and below the desktop. S4 presented a clean intelligent desk solution that improved the overall feel of the space, and projected a sense of refinement. Collaborating with architects, designers, and end users, we strive to provide the right solution for your new workplace at a competitive price. Whether it’s the office, the bullpen, or the showroom, the right system is essential to a high performance work environment.